Combine all the ingredients, except the spare ribs, in a jug and mix well. 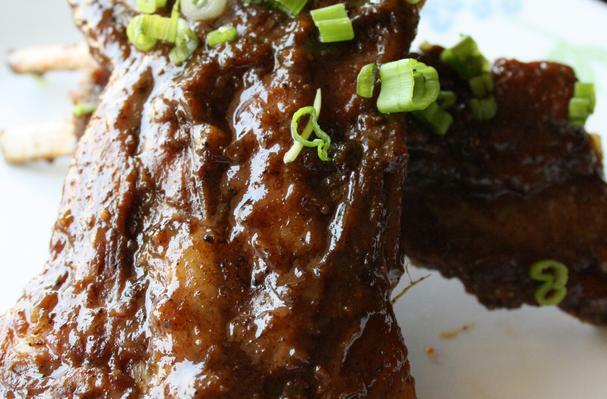 Pour over the ribs and leave to marinate for as long as possible, ideally overnight. Place the ribs on a rack in a roasting pan. Cook in a preheated oven at 400 degrees for about 45 minutes, turning the ribs over half way through the cooking time. Allow to cool and serve cold.